Having conquered Estonia in the Great Northern War, Peter the Great bought in 1714 five summer residences erected during the Swedish era at the bottom of the slope of Lasnamäe Hill. The terraced nature of the area combined with the European character of the city and closeness of the sea made the Tsar think of building a summer palace [palace and park ensemble] on this site. An entry in the Tsar’s field journal for July 22, 1718 reads: “The Emperor was at his house just outside the city, taking measurements for the palace foundation and park for which purpose architect Michetti had been brought along from Saint Petersburg.” In nearly seven years the most grandiose and stylish Baroque palace and park ensemble in the whole of Estonia was built on approximately one eighth of the acquired land. Regrettably, not all of the Emperor’s spectacular ideas were realized – Peter the Great died an early death on February 8, 1725. The Director of Riga Gardens and Parks added to the sea-facing part of the Park in 1897, adhering to the principles applicable to informal parks. 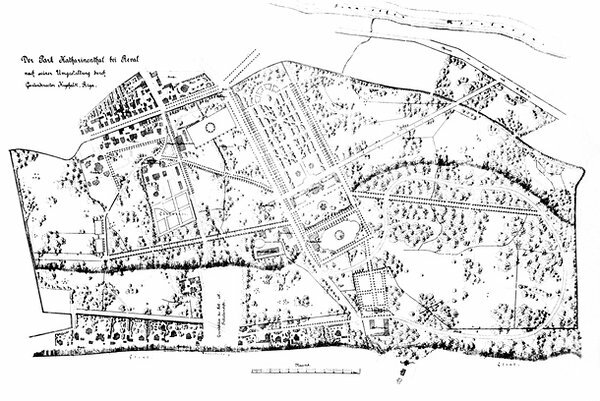 In the 1930s the People’s Park with the Swan Pond Square, Youth Park, alpine garden, and bandstand were built south of the Baroque park. Behind the Palace Flower Garden were constructed the administrative building /office of the President of the Republic of Estonia and a garden. 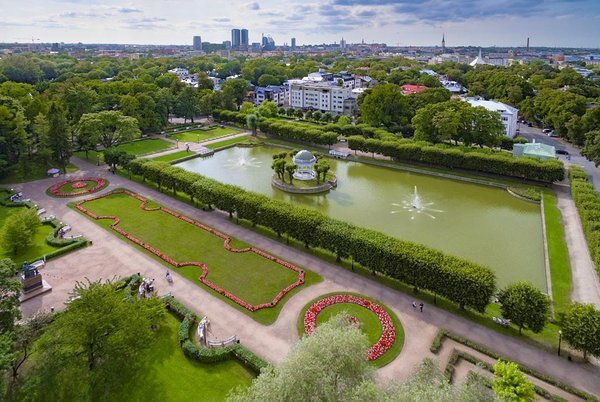 In the 1990s a separate authority was established to manage Kadriorg Park and maintenance and renovation work commenced in the Park: Mere (Sea) and Kaarna (Raven) Avenues were restored, Rose Hill was designed, the Youth Park and other sites were redesigned. The newest part of the Park – stage I of the Japanese garden - was completed in 2011. Visit Kadriorg Park to witness park design techniques characteristic of the 18th, 19th, 20th, and 21st century and enjoy the Japanese Garden which represents a recent trend in European park and garden architecture.